Server Technology, a brand of Legrand and a leading provider of intelligent rack power distribution units (PDU’s), today unveiled its HDOT Cx. The new data center PDU represents a groundbreaking advancement in rack mount power strips by allowing the outlet to easily conform to any combination of hardware power configuration needs. The HDOT Cx reduces the need for data center managers to constantly purchase new PDUs to support the ever-changing power requirements of expanding data centers. As data centers continue to expand, new hardware devices are constantly added to rack-mounted server bays in support of new applications or additional processing abilities. The changing hardware prompts new power configurations and the never-ending cycle of purchasing data center PDUs. Server Technology’s HDOT Cx breaks this cycle with a flexible, rack mounted PDU outlet combination to suit any server rack need. According to Travis Irons, Director of Engineering at Server Technology, “For the data center manager, a key consideration in choosing a data center PDU which meets the current and future server rack needs, is the number of C13 and C19 outlets that are provided with the unit. HDOT Cx simplifies the decision of what C13/C19 combinations are needed because Cx outlets are both. “Data center managers can now take advantage of flexible data center power distribution units and not worry about buying a new unit due to constant equipment refreshes,” observed Irons. The Cx rack-mounted PDU is UL tested for combination C13 and C19 outlets. 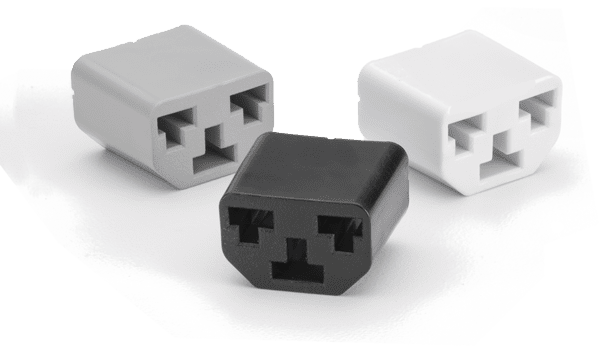 All HDOT Cx modules utilize Cx outlets that can accommodate either a C14 or C20 power cable without the need for additional parts or adapters. The complete line of Server Technology’s Smart, Switched, and POPS PDUs can now be configured with versatile HDOT Cx modules. PDUs equipped with HDOT Cx outlets lengthen the PDU life span, reduce the number of PDU SKUs required and provide the peace-of-mind that they can support any new hardware configurations thrown their way. “For Legrand, the continued success of HDOT was a clear indication that Server Technology understood how to encourage innovation. Designs like HDOT only occur when team members are free to conceptualize without restraint,” said Douglas Fikse, President of Datacenter Power and Control, Legrand North America. “This is precisely why Legrand acquired Server Technology last November. There is something special happening there that cannot be replicated easily. It is no surprise the Server Technology team conceived a design that advances an already successful product with the release of HDOT Cx,” Fikse concluded. On The Web: Server Technology Inc.